Discover A Safer, More Effective Way! Safer and more effective solutions for your residential property. Our Local Exterminators and Pest Professionals will provide a long-term plan of action. All Pest & Wildlife services are backed by our industry leading warranties! Commercial properties benefit from our proven, commercial pest management protocol. Our integrated approach by our Local Exterminators includes aggressive treatment of existing pest activity while providing long-term, preventative pest control and monitoring. ‘Ultra Safe’ is an approved, Statewide IPM Contractor for the current, Massachusetts Operational Services Division (OSD) FAC 92 Pest Control Contract. Contact our Local Exterminators today. 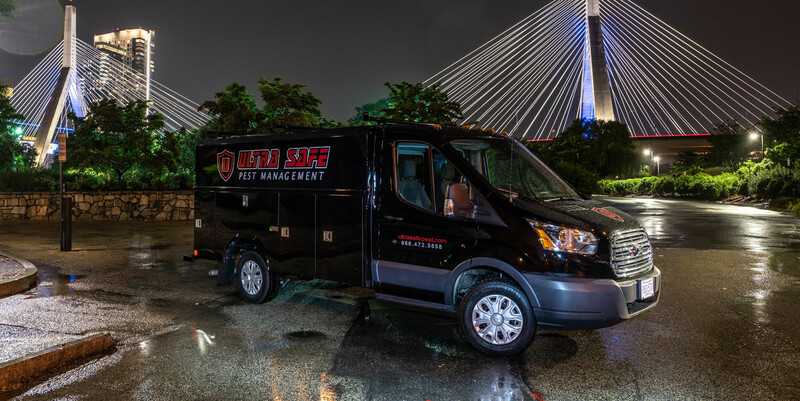 Ultra Safe Pest Management Inc. is a family owned business based in the Greater Boston area. The company has been providing professional pest control and wildlife removal services to residential and commercial customers for over 17 years. The owners are directly involved in the day to day operations. We pride ourselves on integrity, professionalism and a strong commitment to the environment, our customers, our staff and the pest industry we represent.